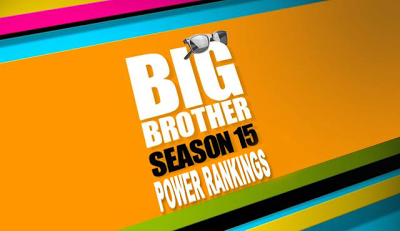 We're up to week five for the Big Brother Power Rankings, and this was probably the calmest week of gameplay we've had in the House until pretty much right before eviction, and the new HOH is both unexpected and ultimately doesn't matter given the situation in the House. If anything, this season is showing how unpredictable this game can be. Onward! Star Wars Black Series Wave 2: Images and Pre-Order Info! 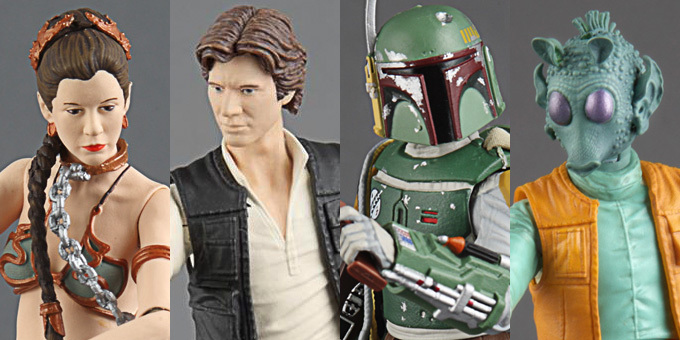 Pre-order info has been released for Hasbro’s second wave of Star Wars “Black Series” 6 inch figures aimed at the discerning adult collector. (You know, “black label”. Like whiskey. And Penthouse). These are a new scale and have superior articulation and screen accurate sculpting. Wave one is only just prepping to his shelves (I hope to review them soon), but here’s your first look at the second group of figures along with info on how to secure them. Wave 2 is a very solid original trilogy focused line up consisting of Han Solo (A New Hope version), a Greedo (for Han to murder in cold blood), Boba Fett (for Han to unceremoniously knock into a gaping Sarlacc pit) and a Slave Leia (so Han can try to knock up her gaping Sarlacc pit). (This is why Hasbro doesn’t send us anything to review). More images, plus a glance at some upcoming 3 3/4 figures... after the jump! When asked, I believe most people could list their top three favourite actors and directors and maybe even composers. But most of the film industry is comprised of unsung heroes, costume designers are among them, despite their work being present on screen just as much as the actors and they can sometimes play just as an important role in story-telling as the dialogue. Here I hope to bring attention to the designers who have been the most inspirational to me, picking one from each generation and hopefully give you a better understanding of their bodies of work, you might be surprised to see which films share a designer in common. Or does it? Feast your eyes upon the trailer for the upcoming RPG game set in everyone's favourite 'Verse. Okay, so limp trailer that shows us nothing and tells us we're going to be waiting a year for the game ASIDE, what does this really mean for the ardent Firefly fan base? 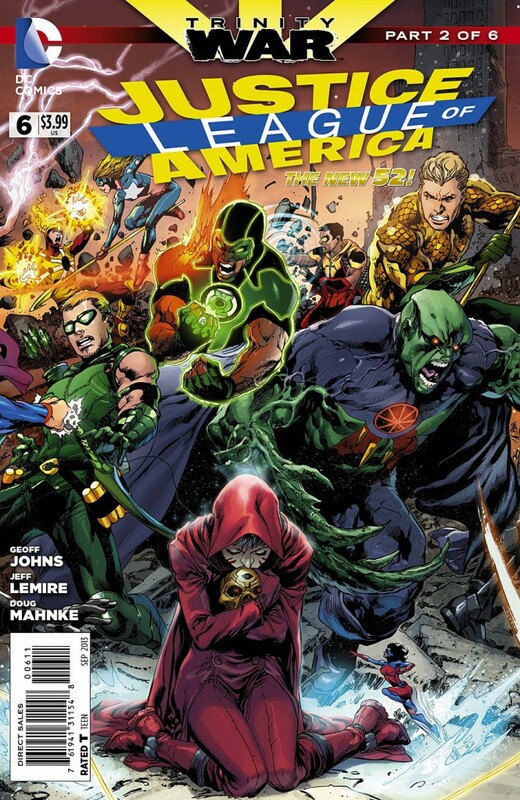 Will we get to have mighty adventures in a resurrected universe that people have been mourning for the last 10 years? Or will we ultimately be set up for yet another crushing disappointment? Join me below the cut for chats. We all know by now that this past weekend’s San Diego Comic Con saw the official announcement of a Batman versus Superman movie, directed by Man of Steel helmer, Zack Snyder. A sequel of sorts, this film is set to pit Henry Cavill’s Superman versus a (presumably new) Batman in a story somewhat, sort of, kinda’ inspired by Frank Miller’s highly acclaimed graphic novel: The Dark Knight Returns. It’s also set to be released in 2015, up against other huge franchise entries like... oh, I don’t know... Avengers 2: Age of Ultron and Star Wars Episode VII. So it sounds good, right? In theory? (Especially if you can get past certain vocal sectors of the Internet’s irrational hatred of Zack Snyder. I’m personally a fan and think that most of his films suffer more in the scripting as opposed to the visuals). But what does all this mean? Why this? Why now? And what are the biggest challenges that Warner Bros. needs to overcome to actually pull this off? Let’s chat about all this surprisingly tricky stuff... after the jump! Did someone say comic books? Here's my top 5 released July 17, 2013! 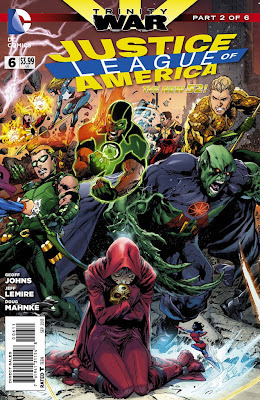 Justice League of America #6 - "Who is the evil behind the evil?" Part two of "Trinity War" carries on from the end of Justice League #22 last week, with the original Justice League, Shazam and the Justice League of America in the middle of a confrontation where it appears that Superman just KILLED Dr. Light! Wha?!?! Well, it's not quite that cut-and-dried...there are several other factors at play in this apparent death, including the shadowy Secret Society of Villains seemingly pulling strings from behind the curtain. There's a definite mystery afoot! Enter The Question, third member of the "Trinity of Sin" (along with Pandora and the Phantom Stranger)! If anyone can get to the bottom of this, it's gotta be him, right? In any case, SOMETHING bad is affecting Superman and they need to solve this problem, fast! The story continues in Justice League Dark #22 next week! I can't wait! The other four - after the JUMP! The Book Was Better is the podcast where we read the (usually - but not always) awful tie-in novelization of a (usually - but not always) awful film and discuss our findings with (usually - but not always) hilarious results. This week I’m joined by the once reluctant, but now enthusiastic guest host, my pal Sabrina, as she guides me through the sordid, unthinkable novelization of Hannah Montana the Movie. Prepared to be shocked and amazed at the callous, American-sized servings of consumerism, exploitation and double-identity deception! Plus there’s singing! SWEET NIBLETS! You can download it right not from the official site, or help mend our achy breaky hearts and subscribe to us on iTunes. AND be sure to like us AND join the conversation on our evil Facebook page! 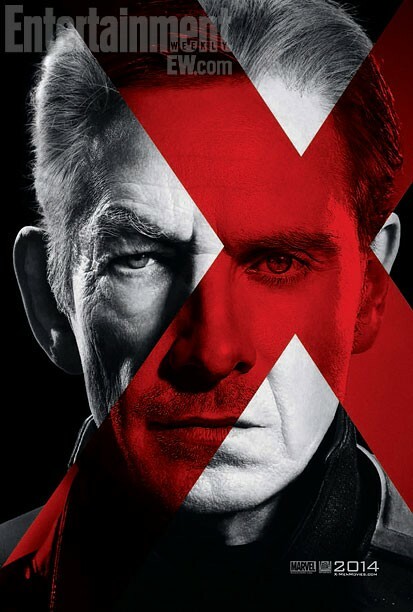 New X-Men Days of Future Past Posters Mixes Old With New! “You like my old stuff better than my new stuff? Well how about I get my new stuff all up in my old stuff and mix it all up into an oldy-new-stuff soup!” That’s probably (not) what director Bryan Singer said when his promo team put together these first posters for 2014 X-Men sequel Days of Future Past! But it is a welcome (and admittedly striking) glimpse of what happens when you take the old versions of these iconic movie characters (which ironically are from the future) and mix them with the younger versions of these iconic movie characters (which are confusingly from the past). Do you remember Conan O’Brien’s classic comedy segment If they Mated which took two celebrities and showed what their hybrid offspring might look like? Well if you locked Ian McKellan and Michael Fassbender in a room until they created a Magneto babby, the result might be this Mikian McFasskellbendan! Oh, I’m not stopping there! I got another one for you... after the jump! When the announcement hit the news regarding Robert Galbraith actually being JK Rowling, I decided to jump on the book immediately, since I knew (with a limited print run and a genre known for voracious readers) it would become a hot commodity pretty quickly. Rowling had talked about writing a crime/mystery novel before, she obviously has plenty of good will saved up, and there's definitely a benefit to her writing something that has the possibility of a lot more action in it. 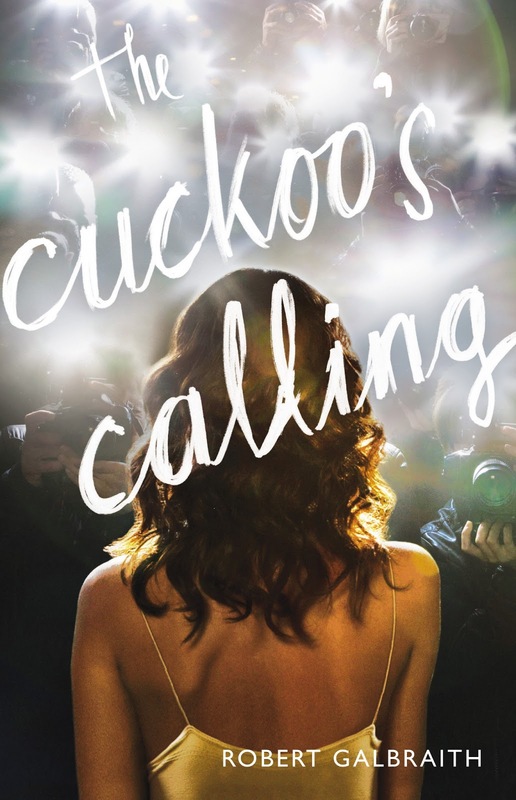 Unfortunately, the best thing I can say about The Cuckoo's Calling is that it's better than The Casual Vacancy, and that's a really low bar to clear.